Painting Archives - Art Matters! Cast hands collaged with Old School Tattoo Images or India Henna images. Copyright © 2019 Cathy Dorris Studios, All rights reserved. We are sending art event and workshop information to people who wanted to be on the mailing list. 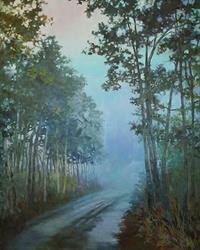 Painting Classes with Jeanne LaRae at Central Art! An invitation to see painting “Three Minute Egg #12” as one of 80 water-media paintings in the WSO Spring 2019 Experimental Exhibition! Greetings! I am happy to say that my painting “Three Minute Egg #12” is showing in the Watercolor Society of Oregon’s Spring 2019 Experimental Exhibition. 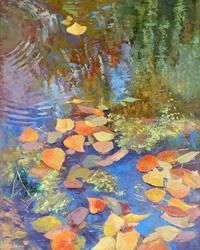 My painting is one of 80 stunning water-media works accepted by Juror Jean Pederson. What makes this show particularly special is that the rules accept works from a variety of watermedia and supports. That is to say, artists can include acrylic paint or use clayboard panels, for example. There might be a bit of pastel or colored pencil worked in too, as long as the painting is primarily watercolor. 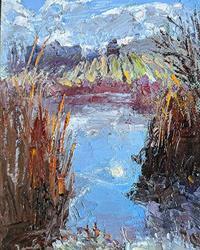 The WSO Exhibition will held at the Oregon Society of Artists (OSA), 2185 SW Park Ave, Portland OR from April 8th to 30th. Gallery hours are Monday through Saturday, 1 – 4 pm. The opening reception is Saturday, April 6th from 4 to 5 pm. Some of my favorite things: egg cups, espresso cups, a timer and a spoon. I am reminded of special family breakfasts we had when I was young. It just seemed exotic to have an egg served in an egg cup. I loved dunking my toast in the egg yolk. The design of the painting perhaps emphasizes the idea of remembering the past. The items are simplified and expressive rather than realistic. It is about experimenting with shape and color to create something joyful. The colors of the painting refer to an early morning, perhaps. In other words, dawn; the time of day when the sun is just starting to peak into the breakfast room. The darks of night have yet to disappear for the day. This is one of 13 paintings created to date in my “Three Minute Egg” series of paintings. If you would like, I wrote an article about creating the design for this painting and published almost a year ago. You might enjoy the extra insight about the painting. If you are in the area, I invite you to stop by and enjoy the show! It has been a busy year so far! I have been doing some volunteer work with the Watercolor Society of Oregon, for example. Plus, I took artist Sarah F. Burns‘ “Anatomy for Artists” drawing class. The class was intense, challenge and wonderful; a good learning experience. But, no matter how busy I get, I keep drawing. You see, it’s absolutely essential for me to continue to do so. In part, drawing keeps my skills honed and improving. Also, I draw for the fun of it. And, I get grumpy if I don’t draw. So, out come my favorite items, like these broken seashells, coffee cups, brandy snifters. It is interesting that I never tire of them and I continue to learn. So, I may be busy, but I can still find time to draw. Thank you and please enjoy! Celtic: Referring to Northwest Europe where Celtic culture and language survive. It is that time again. That is, it is almost time for the Rogue Gallery and Art Center’s Celtic Celebration’s Art Show in Medford, OR. Not surprisingly, the Celtic Celebration coincides with St. Patrick’s Day. The Celtic Celebration is also a fund raising event for the gallery. I have participated before in the celebration’s art show and thought I would do a painting once again. You see, it is fun trying to figure out how to fit a theme. Plus, I thoroughly enjoy seeing what other artists create. Back to the previous entries, one was the first “Irish Breakfast Tea” and the other was “Irish Maiden”. Since I have continued to work with coffee and tea themed compositions, I figured I would try another tea cup version. This time, I added a milk pitcher because it is my understanding that “Irish Breakfast Tea” is often served with milk. Plus, the milk pitcher is a fun shape. One more thing, you might notice a little bit of symbolism too. Look for the shamrock and triskele. And, so we have “Irish Breakfast Tea 2”. The Celtic Celebration Art Show is on display currently on display through March 22nd at the Rogue Gallery and Art Center, 40 South Bartlett in downtown Medford OR. The public art reception is this Friday, March 15th from 5:30 pm to 8:00 pm. The Celtic Celebration Event is held on Sunday, March 17, from 5:30pm to 7:30pm, also at the Rogue Gallery and Art Center. It includes music, food, a singing competition and the art show. For more information about the event and tickets, please see their website, www.roguegallery.org. In the meantime, I hope that you enjoy “Irish Breakfast Tea 2”. One more thing, yes, I do enjoy the flavor of Irish breakfast tea.